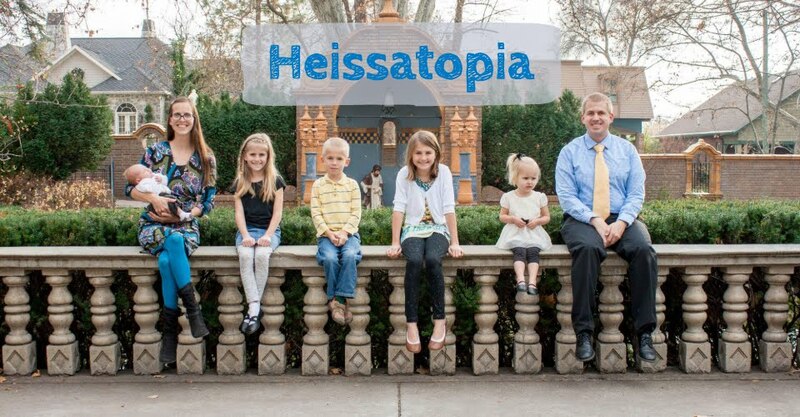 Heissatopia: The pool is open! Even though Saturday's high was, like, 67°F, the kids insisted on going to the pool because it was finally, finally open. So we all got ready to swim and trekked over to the pool, only the find that our pool key wasn't working. The kids were all upset by this. I, honestly, wasn't because swimming when it's that cold outside isn't that tempting for me. On Monday the kids wanted to try going again. We had done a little investigating during the day and had found that our pool privileges had been revoked because, well, our house sold, so the key was "turned off" until they management company could verify that the pool key was in the right hands. So we just had to prove that our new landlord knew that we had the pool key and—presto!—our pool privileges were restored. And there was much rejoicing, believe me. The kids were so excited to go, and I was, too, because, aside from this weekend's cold front, it really is getting warm and humid enough that being outside is rather unpleasant unless you're in the pool. We did do quite a bit of swimming in the big pool, but I did't take any pictures of that. So here are the kids chilling in the baby pool (with a friend). And by "chilling" what I mean is "warming up." The baby pool is usually much warmer than the big pool. The first trip to the pool is always somewhat of a Abysmal Disaster, and yesterday was no different. Zoë was not a fan of the deep pool and did a whole lot of screaming at everybody. Benjamin basically forgot how to swim over the winter and kept practically drowning because he wouldn't take a few minutes with me to review a few basic skills. Miriam kept crying about being cold and because Rachel wouldn't play with her. Rachel kept pushing Miriam's buttons and they had a rather embarrassing fight on the deck over a toy that didn't even belong to us (another family had brought it). All the kids used their towels a billion times—even though I kept telling them to just sit in the sun to warm up—so when it was time to go the towels were all soaking wet and there were tears all around. 1) Help Mom have a happy time so she wants to take you back. 2) Do not fight over toys (whether ours or not) or they will go into timeout and no one will use them. 3) If you want privileges at the pool (such as doing a cannonball in the deep end), you must pass a Mommy-administered swim test. 4) There shall be no dog-paddling because dog-paddling is lame and is grounds for deep-end privileges being revoked. 5) Do not boss other children around. Their parents are there to enforce their rules. If there is a real problem let Mom know and she will address it. If the problem is that a three-year-old is splashing in the baby pool, chill out, especially if their mom is, like, right there. 6) Do not use other children as an excuse for not listening to Mom's rules. I don't care what other family's rules are. As far as you are concerned, my rule is law. If you splash your sister one more time you are going to have to sit in the shade or something...because just stop. 7) Pay attention to people's cues. If someone asks you to stop, stop. If someone starts crying because you splash/spray/dunk/push/pull/tease/whatever too much, then—for heaven's sake!—apologize. 8) When Mom says it is time to go it means that it is time to go. Weird, but true. It was seriously such an unpleasant time at the pool that I dreaded ever taking them back. Andrew suggested taking the two little ones to the pool while the girls were at school so that I could work with Benjamin without distraction, because if I could get him swimming decently again that would be one less thing to worry about. But we were having his friend Jay over in the morning and going to the pool in the early afternoon is hard because the girls get home from school so early—although today they did not because they were stuck on the bus for two hours (I cannot tell you how much I am looking forward to a ten-minute walk to school). The stop sign on the bus broke in the middle of their route and it took an hour to get it fixed. So the kids just sat on the hot bus. Their driver allowed them to split a bag of spicy Cheetos some kid had in their backpack (even though eating on the bus is technically against the rules). Rachel got two Cheetos. Miriam got one. They weren't starving. But they also all hadn't eaten anything since before noon (because school starts so ridiculously early that lunchtime begins at like 9:30 (or something ridiculous like that) so that all the classes can get through the cafeteria by noon) so they were pretty hungry. By the time they finally made it home they were hot, tired, grumpy, and hungry. We had a quick snack and then headed out to the pool to unwind and actually ended up having a rather pleasant time. The kids worked hard to make sure they followed all our pool rules. Rachel played with Zoë while I worked with Benjamin, who miraculously remembered how to swim (hallelujah). Miriam sprawled out on the deck when she wanted to warm up rather than getting all the towels wet. There were a few little squabbles over one particular toy—but only between Benjamin and Zoë (the big girls stayed out of toy fights)—and, in fact, another family's kids had a rather embarrassing fight over a toy that we had brought (phew, we're not the only ones). Miriam worked on her side breathing and sculling so that she doesn't look like she's drowning in the deep end. And Rachel played nicely with Miriam while I was with Benjamin and Zoë in the shallow end. Miriam rescued two spiders from the baby pool and befriended a butterfly (it just kept coming back to her—landing on her toes, her hand, her head, her shoulder...). I think I can truthfully say that I'm happy pool season is upon us. If I had said the same thing yesterday I would have been lying through my teeth. But today it's 100% the truth. Chuckle chuckle. You make me smile. Sometimes through tears!